Timber framed windows are generally more energy efficient than aluminium windows. Aluminium is subject to greater heat loss and gain than timber because it is a better heat conductor. Double glazing reduces heat loss. It is more expensive than normal single glazing at around 2- 3 times the cost. Double glazed windows are generally installed in new homes or renovations, although add-on double glazing is available. The term low 'e' stands for low emissivity. The difference between ordinary clear glass and low 'e' glass is a special metallic or oxide coating on one side of the glass known as the low 'e' or low emissivity coating. 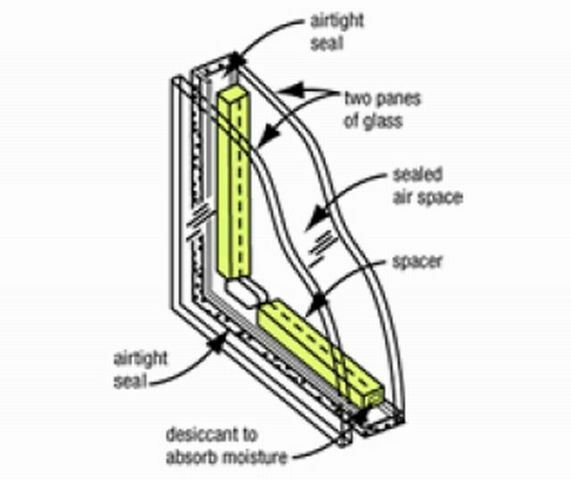 This coating improves the performance of a double glazed unit by reducing the transfer of heat or cold through the glass. The sun generates warmth by emitting short wave radiation. 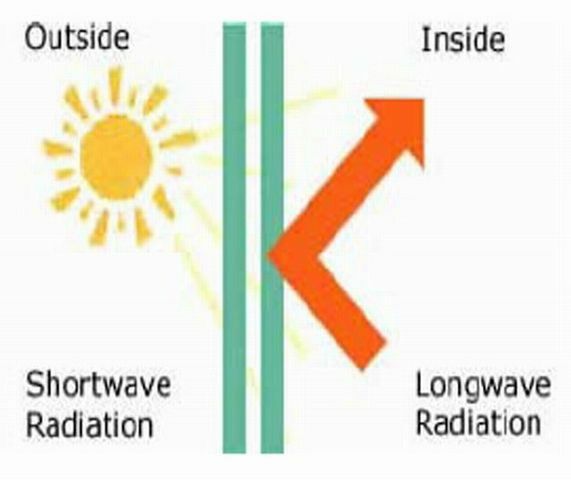 This short wave radiation passes through the glass and warms up the interior of the building by being absorbed into the fabric of the structure (curtains, carpets, furniture, walls etc.) and the energy is transformed into long wave radiation. As heat always moves from hot to cold it's means of escape is normally back out through the glass, but the low 'e' has the ability to reflect these long wave radiations back into the building. This results in a lower wintertime 'u' value (the measurement of heat loss through a solid object) and a more comfortable home along with lower heating costs. Conversely, in summer the glass has the ability to reflect any long wave heat waves back outside thus reducing the heat transfer through the glass. In conclusion, if low 'e' glass is used in double glazing the occupants of the dwelling or building will enjoy a more comfortable environment with cost savings on heating and cooling and also help in reducing green house gas emissions.